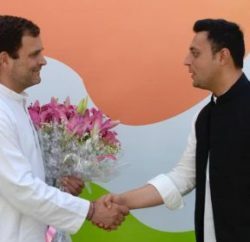 On the issue of appointment of working President of Himachal Pradesh Congress, every Congress big leader is avoiding to clarify the present status. 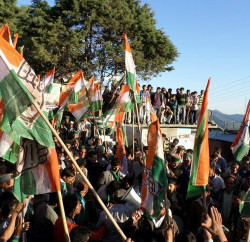 All-India Congress Committee general secretary and Himachal party in-charge Birender Singh Chaudhary refused to answer on the issue and while replying to questions of mediapersons on the sidelines of the Mahila Congress rally at Sujanpur, he said that media will be informed when anything will happen in this regard. 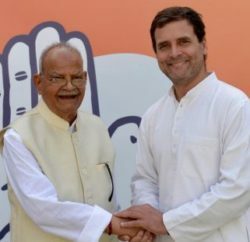 Earlier, news were coming that Congress has decided to appoint GR Musafir as working president of Himachal Congress, but till now there is no official word on it. Senior Congress leader Virbhadra Singh along with his staunch supporters are camping in Delhi to force party high-command to accede their demands, however there is no clear signal from high-command. And if sources believe, Singh can also opt for the other way too if his demands are not met. We are realy happy to choose G R Musafir as WORKING PRESIDENT of election comitty of HIMACHAL PARDESH CONGRESS COMETTI.